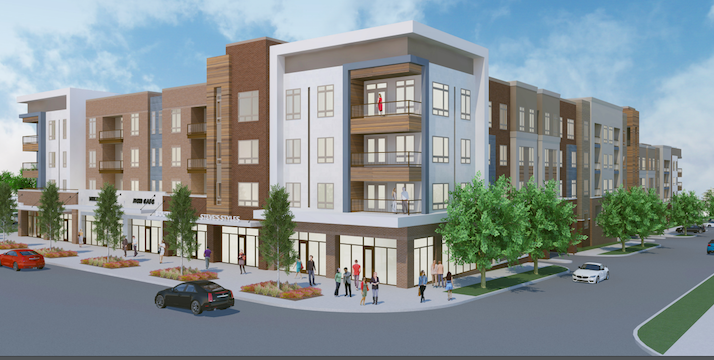 Avenue 81 will feature senior apartments for independent and assisted living on top of retail. A $45 million senior apartment project is being planned by EPC Real Estate Group on the site of the former White Haven Motor Lodge at 81st and Metcalf near downtown Overland Park. The 158-unit project is immediately south of Avenue 80, a 218-unit apartment development also being built by EPC. The senior housing project, called Avenue 81, will have 70 percent of its apartments set aside for independent living and the remainder for assisted living. It will be operated by Midwest Health. 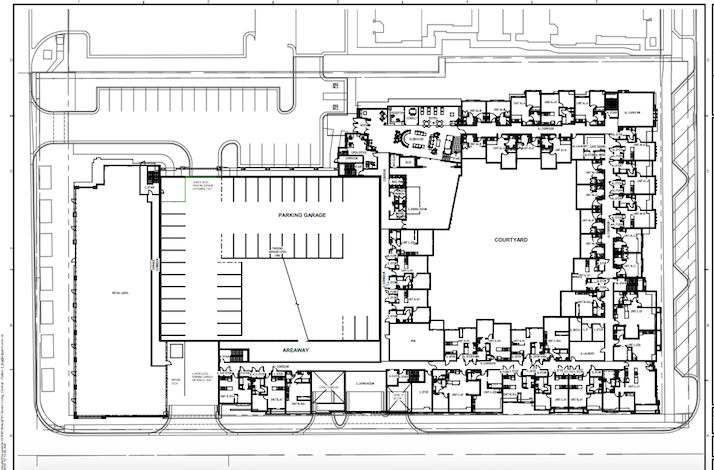 Mike McKeen of EPC said the new senior apartment development should be attractive because the increasing demand for senior housing and its close proximity to the shops, restaurants and Farmer’s Market just across Metcalf in downtown Overland Park. The building will be mostly four stories tall, and will drop to three stories along Broadmoor Lane. It will wrap around a 193-space garage and there also will be a 48-space surface parking lot. The architect is Studio A Architects and the Schwerdt Design Group. As is the case with Avenue 80, the first floor of Avenue 81 will be reserved for retail, about 11,000 square-feet. McKeen said the project will be seeking food-related retailers and other businesses. The 73,205 square-foot project already has received unanimous approval from the Overland Park City Planning Commission. McKeen said depending on how quickly the City Council and other approvals occur, construction is expected to begin next summer. The White Haven Motor Lodge closed in 2010 and has since been demolished. Avenue 81 will wrap around a parking garage and include a surface lot. Avenue 81 occupies the property where the White Haven Motor Lodge once was at 81st and Metcalf.